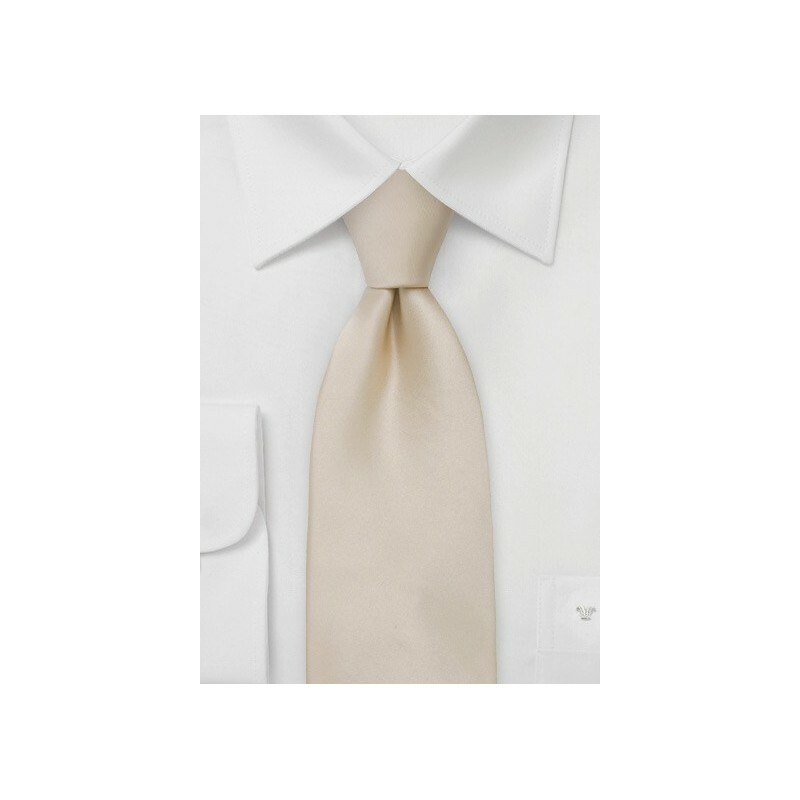 This festive champagne color necktie is made in XL length - especially for men taller than 6 foot 3 inches, or those with a larger than normal neck size. 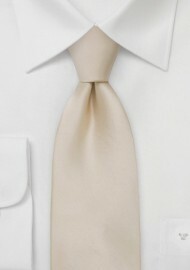 With this extra long tie even larger necktie knots will no longer be a challenge. This formal necktie is handmade from 100% Italian silk - a fabric that has excellent shine and soft feel that is the perfect complement to the elegant and festive color of this tie. This tie is also available in regular length. Made from pure silk by neck tie designer Parsley.